Obituary for Delores "Dee" M. (Kehren) Mazzarini | Readshaw Funeral Home, Inc.
Delores M. "Dee" (Kehren) Mazzarini, age 73, after a courageous battle with cancer, surrounded by her loving family on Tuesday November 13, 2018 of Brentwood. Daughter of the late Charles and Edna Kehren. Beloved wife of Frank Mazzarini. 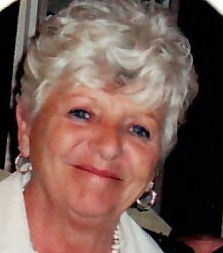 Cherished mother of Lisa (Jim) Gaskill, Toni (Randy) Roebuck and Dana Mazzarini. Loving grandmother of Jimmy and Melissa Gaskill and Alexa Mazzarini. Sister of Charles Kehren, Joyce (Fred) Borneman and the late Donald Kehren and Paul (Elizabeth) Kehren, Jr. Survived by other family, close friends and neighbors. Also survived by her furry companion Angel and the late Sassie. Dee was a Hairstylist and was very caring and loving towards everyone she knew. Dee also was a member of the Ladies Auxiliary of the South Hills Italian Club. Family and friends received Thursday 2-4 PM & 6-8 PM and Friday 2-4 PM & 6-8 PM at the Readshaw Funeral Home, Inc. 1503 Brownsville Road, Carrick. Where a Funeral Service will be held Saturday at 10 AM. In lieu of flowers memorial contributions may be made to the Jefferson Cancer Institute addressed to The Office Of Development 4818 Liberty Ave Pgh, Pa 15224.